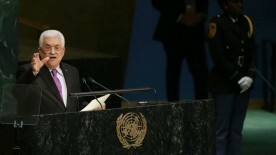 Palestinian Authority President Mahmoud Abbas said at the United Nations that Palestine is no longer bound by the series of peace accords that date back to the 1990s. 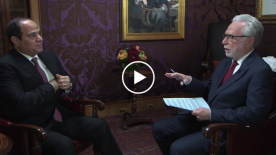 We break down what this means ahead of Prime Minister Benjamin Netanyahu's speech. 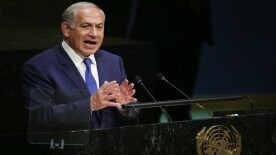 With Israeli Prime Minister Benjamin Netanyahu having addressed the 70th session of the United Nations General Assembly on Thursday, October 1, 2015, the IMEU offers the following fact check on claims made in his speech. 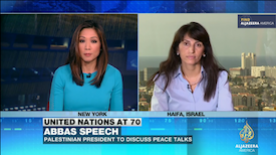 Diana Buttu: Abbas needs to call for international 'sanctions' on Israel. 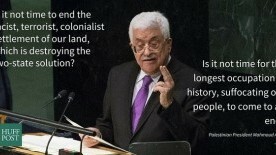 The former legal adviser to the PLO also added that the Palestinian president needs to accept a one-state solution. 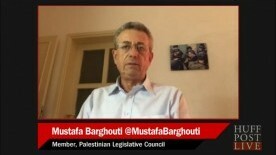 Watch Buttu's analysis of Abbas' UN General Assembly speech. Palestinian President Mahmoud Abbas on Wednesday declared that he will no longer be bound by the 1993 Oslo Accords between Israel and the occupied Palestinian territories, citing Israel's failure to uphold its obligations under the peace agreement. With Palestine Liberation Organization Chairman and Palestinian Authority President Mahmoud Abbas having addressed the United Nations General Assembly on Wednesday, September 30, 2015, the IMEU offers the following expert Q&A with Diana Buttu, a former advisor to Abbas and Palestinian negotiators. 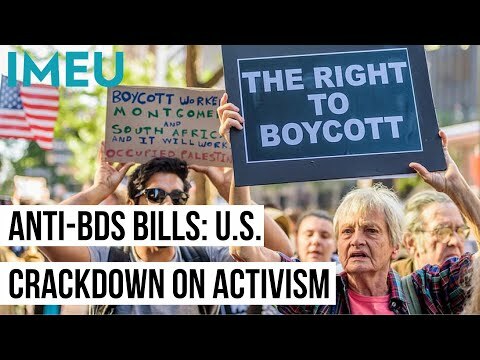 When he speaks at the U.N. General Assembly this week, there is a chance Palestinian Authority President Mahmoud Abbas will announce that some or all of the Oslo Accords, the foundational document of the U.S.-sponsored Israeli-Palestinian "peace process" aimed at a two-state solution, are null and void. 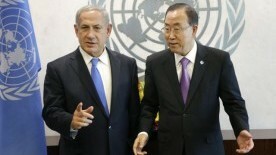 Prime Minister Benjamin Netanyahu and UN Secretary-General Ban Ki-moon clashed Tuesday evening over the killing of Palestinian civilians when Israel attacked UNRWA facilities during the Gaza fighting this summer, Israeli officials said. 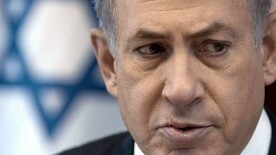 Netanyahu and his advisers asked Ban to postpone a proposed UN inquiry into the incidents, the officials said.